Our Construction Support Services practice relies on Tekla for steel and concrete detailing and to collaborate with fabricators. 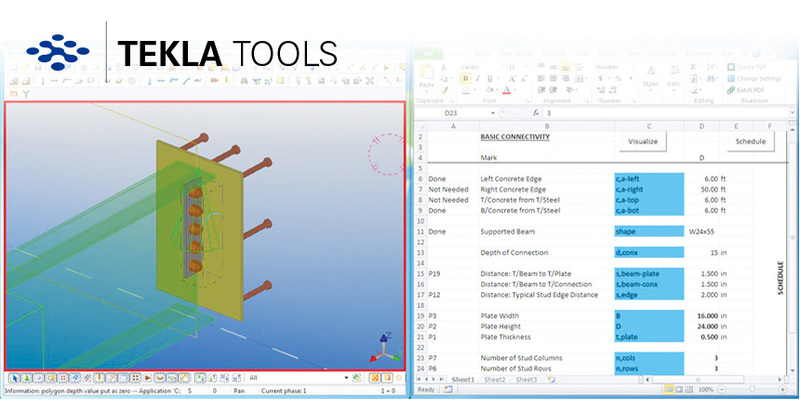 CORE studio is developing a series of Tekla plug-ins to support this work and has been working with the CSS team to identify problem domains where computational solutions could prove suitable. We are actively prototyping a revolutionary set of steel connection design tools that enable automated connection detailing directly from forces calculated in structural analysis programs.